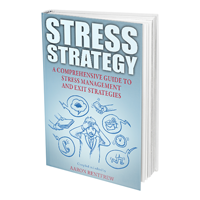 When stress starts to overtake your life, you want solutions that work fast and get you back on track. Here are proven stress relief techniques and food suggestions that will help you manage stress and back away from anxiety. One of the first things you here when it comes to stress advice is “exercise.” There’s a reason it’s on all the lists – it really does work. If you aren’t exercising, you need to find at least half an hour a day to go for a jog or a walk or do something that gets your heart pumping. This does several things. First, it distracts you. Second, it helps you build a healthier heart, healthier longs, and better stamina. Third, it gives you a great rush of endorphins that can calm you right down. Make it a habit and you’ll be amazed how easy it is. A happy gut leads to a happier life. Your digestive bacteria live in a delicate balance, and an imbalance can lead to IBS-like issues and general difficulties that rapidly increase stress. Eating a healthy diet with low alcohol consumption and plenty of fiber is good for your stomach. You can also take probiotic supplements, which encourage the growth of healthy bacteria. Social events may not seem like great stress management – just the opposite, actually. But the key is to do something with family and friends that you actually enjoy. It could be just hanging around with them for a while in a low-key environment. Social contact like this helps fight depression, builds valuable contacts, and provides an excellent valve for stress. Meditation may sound annoying, but it’s a proven technique and you don’t need much of it to make a difference. Just ten minutes per day in a quiet space, focused on gentle, slow breathing, can make a big different in your life. If you really just can’t sit still, try a quiet walking meditation instead. Scents reach through your nose and right into your brain, where they can have a direct effect on your emotions. While it sounds like something a spa would say, you really should consider scented candles or other peaceful smells around your work area and office. They can make a difference even without you realizing it. A significant amount of depression and stress is due to muscle strain and neck pain. You can correct these by practicing good posture. It’s also a good idea to visit a masseuse or chiropractor and talk about your lifestyle and if you have any pain points that really need to be address. Not all herbal supplements will make a difference, but some are noted for their stress-reducing benefits (or outright sedative properties. includes lemon balm, valerian root, passionflower, and St. John’s Wort. Are you getting enough magnesium in your diet? This vital element encourages muscle health, digestive response, and a whole host of other things necessary for overall health. Eat green foods with plenty of magnesium in them, or take activated magnesium supplements.